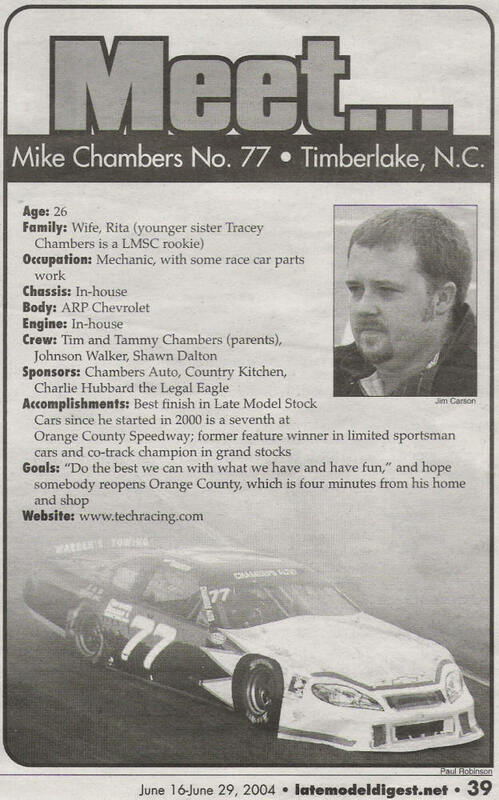 Timberlake, NC (June 23, 2004) Mike Chambers is featured in the June 16th - June 29th issue of Late Model Digest. He is profiled under the Meet the Driver section that interviews a different driver each issue. Be sure to pick up the latest copy of Late Model Digest.